For a number of decades, the prospect that new members of the human family might be produced by cloning was considered farfetched. Recent advances in genetic and reproductive biology, however, indicate that techniques for cloning humans may soon be developed. With this prospect comes the Christian responsibility to address profound ethical issues associated with human cloning. 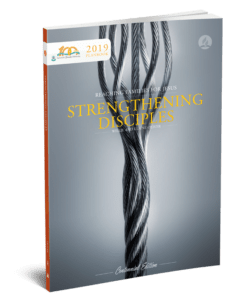 As Christians, with firm belief in God’s creative and redemptive power, Seventh-day Adventists accept the responsibility to enunciate ethical principles that emerge from their faith commitments. Cloning includes all those processes by which living plants or animals are replicated by asexual means-methods that do not involve the fusion of egg and sperm. Many natural processes are forms of cloning. For example, microorganisms, like common yeast, reproduce by splitting into two daughter cells that are clones of the parent cell and each other. Cutting a twig from a rose bush or grapevine and propagating it into a complete plant also creates a clone of the original plant. Similarly, many simple animals, such as starfish, can regenerate complete organisms from small parts of a predecessor. Thus the biological principle of cloning is not new. The new technique is known as somatic cell nuclear transfer . The essence of this method is to take a cell from an existing individual and manipulate it so that it behaves like an embryonic cell. Given the proper conditions, an embryonic cell can proliferate and generate a complete individual. At present, this cellular reprogramming is accomplished by putting a complete adult cell inside a larger egg cell whose nucleus has been removed. The egg that is used in this process serves the role of an incubator, providing an essential environment to reactivate genes of the adult cell. The egg contributes to the offspring only the small amount of genetic material associated with its cytoplasm, not its nuclear genetic material, as occurs in sexual reproduction. The altered egg must then be implanted in an adult female for gestation. However, even if the success rates of cloning were to improve and the medical risks were diminished, a number of major concerns would remain. For example, is there anything intrinsically problematic with creating an individual who is not produced through fertilization of an egg by a sperm? Further study is needed to resolve questions regarding the essential nature of procreation in God’s design. Another of the most often expressed concerns is that the dignity and uniqueness of a cloned person may be jeopardized. This risk includes the psychological harm that might be experienced by an individual who would be what some have called the “delayed identical twin” of the individual who provided the initial cell. Do existing persons have the right to exercise such a level of control over the genetic destiny of a new individual? An additional major risk is that cloning could lead to expedient uses of those who are cloned, with their value assigned primarily on the basis of their utility. For example, there could be a temptation to clone individuals to serve as sources of transplantable organs. Others have worried about the deliberate creation of subservient individuals whose autonomy would be violated. Egotistical or narcissistic individuals might be inclined to use the technology in order to “duplicate” themselves. 1.Protection of vulnerable human life. Scripture is clear in its call to protect human life, especially those lives that are most vulnerable (Deut 10:17-19; Isa 1:16, 17; Matt 25:31-46). The biological technology of cloning is ethically unacceptable whenever it poses disproportionate risk of harm to human life. 2.Protection of human dignity. Human beings were created in the image of God (Gen 1:26, 27) and were thus endowed with personal dignity that calls for respect and protection (Gen 9:6). Cloning may threaten human dignity in a number of ways and must thus be approached with resolute moral vigilance. Any use of this technology that undermines or diminishes the personal dignity or autonomy of human beings must be rejected. This moral prohibition applies to all human cloning that would value human life primarily for its utilitarian function or commercial value. 3.Alleviating human suffering. It is a Christian responsibility to prevent suffering and to preserve the quality of human life (Acts 10:38; Luke 9:2). If it is possible to prevent genetic disease through the use of somatic cell nuclear transfer, the use of this technology may be in keeping with the goal of preventing avoidable suffering. 4.Family support. God’s ideal plan is for children to develop in the context of a loving family with the presence, participation, and support of both mother and father (Prov 22:6; Ps 128:1-3; Eph 6:4; 1 Tim 5:8). Any use of somatic cell nuclear transfer as a means of assisting human reproduction should thus be within the context of the fidelity of marriage and support of stable family life. As with other forms of assisted reproduction, the involvement of third parties, such as surrogates, introduces moral problems that are best avoided. 5.Stewardship. The principles of Christian stewardship (Luke 14:28; Prov 3:9) are important for all types of assisted human reproduction including the possibility of somatic cell nuclear transfer, which is likely to be very costly. Married couples seeking such assistance should consider the expenses involved in terms of their exercise of faithful stewardship. 6.Truthfulness. Honest communication is one of Scripture’s mandates (Prov 12:22; Eph 4:15, 25). Any proposed use of cloning should be informed by the most accurate information available, including the nature of the procedure, its potential risks, and its costs. 7.Understanding God’s creation. God intends for human beings to grow in their appreciation and understanding of His creation, which includes knowledge regarding the human body (Matt 6:26-29; Ps 8:3-9; 139:1-6; 13-16). For this reason, efforts to understand the biological structures of life through ethical research should be encouraged. Clones. Two or more individuals with identical genetic material. Human clones occur naturally in the form of “identical twins.” Though twins begin life with the same genetic material they, nevertheless, develop distinct physical differences (fingerprints, for example). Furthermore, they become fully unique individuals with distinct personalities as a result of their different experiences and independent choices. An individual conceived by somatic cell nuclear transfer would be at least as different from his or her progenitor as natural twins. Somatic cell nuclear transfer. The technical name for the method used to produce the first animal clone, a sheep called “Dolly.” Though the name suggests that a nucleus from a somatic cell was used, in fact, the complete somatic cell was fused with an enucleated egg.